Metro trains are no longer single-tracking between McPherson Square and Federal Center, where repairs had to be made due to a track problem at Smithsonian. However, Metro warned that delays could linger. Today's single-tracking came less than six hours after regular service was restored along that stretch following a derailment at Smithsonian — and less than an hour after regular service was restored on the Orange and Silver lines in Northern Virginia. Around 6 a.m. Friday, a power outage caused riders to be evacuated from a stranded train between the East and West Falls Church stations. Stranded Metro passengers were escorted from their train by Arlington County firefighters after the track's third rail lost power. Orange and Silver Line service was suspended, followed by several hours of single-tracking between Ballston and West Falls Church. The outage ushered in a second difficult day for Metro riders, and many have expressed frustration. "Took day off work yesterday because I knew #wmata," tweeted Kenneth Clyburn (@KenClyburn). "Now have to consider it AGAIN because it's not even fixed." A Twitter user named Annie (@annie_cate) posted, "Decided to drive to work and pay $15 to park rather than take my chances on the OL again. Dodged a bullet. #wmata"
The East Falls Church station was closed during the service suspension. Mmm yeah day 2 of this #Wmata mess. No work today. I tried. Took day off work yesterday because I knew #wmata. Now have to consider it AGAIN because it's not even fixed. Downtown, full service resumed around 7 a.m. Friday between McPherson Square and Federal Center SW, a day after an empty train derailed outside the Smithsonian. Trains single-tracked for almost two hours before that Friday morning. Service was suspended along that stretch for much of Thursday, until single-tracking began again in the afternoon. That single-tracking was completed at about 2 p.m. The Federal Triangle and Smithsonian stations were closed for most of Thursday, but were open Friday. The Silver Line only ran between East Falls Church and Wiehle-Reston East for much of Thursday, with service resuming there Friday. The disruptions were due to the partial derailment of a train at the Smithsonian station, shortly before 6 a.m. Thursday. A six-car train not carrying any passengers was getting ready to turn around at a crossover point called an interlocking when three of the cars went off the track by about a foot. The cars remained upright. "You go through switches there," interim Metro General Manager Jack Requa said. "This train, in preparing for morning service, went through that switch. Something happened and derailed the cars as it went through that process of going from one track to the other." The derailment caused major service disruptions, overcrowding and long lines for shuttle buses, while service on the Blue, Orange and Silver lines was suspended between Federal Center SW and McPherson Square. "Frustrated. Everybody's frustrated, and nobody's giving clear directions on where to go," said Metro rider Cherry White on Thursday. The train's operator was not injured in the derailment. "Preliminarily, I can tell you the damage is relatively minor," Requa said. "However, this is a challenging location to re-rail equipment ... [It's] minor from the standpoint of damage. It's a major disruption, obviously, to our customers, and we're concerned about that." The location of the derailment is a very small tunnel pretty much in the heart of the system. Metro cleared some of those cars, which is why there is a section of rail available for single-tracking. "The tunnels are sized for two-track operations, so it's very tight in that situation," Requa said. "By getting two cars out we were able to give us a little more room, but it's still tight." In addition to clearing the cars, Metro must inspect the track for damage. The train was coming from a rail yard and was about to start picking up passengers for the morning commute when the cars derailed. The cause of the derailment is not yet known. The train was traveling at slow speed at the time of the derailment. "We know this is a great inconvenience to our passengers," Requa said. "We're working as fast as we can and as safely as we can to put service back in operation." 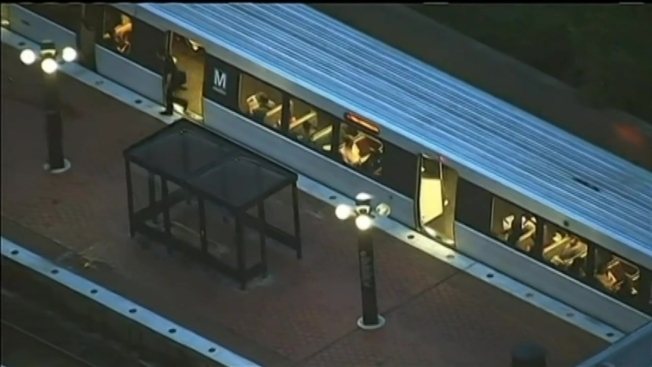 Metro riders grappled with a challenging commute Thursday morning after a train without passengers derailed at the Smithsonian station. "Frustrated. 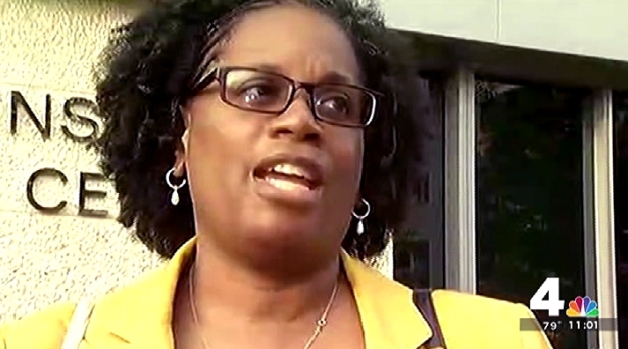 Everybody's frustrated, and nobody's giving clear directions on where to go," said Metro rider Cherry White. The derailed cars are older models, from the 1000- and 2000-series. Virginia Rep. Gerry Connolly said Thursday the derailment demonstrates the need for safety boosts. "Today's Metro incident is yet another example of why we must retire and replace the old series rail cars and make immediate system and safety upgrades," he said in a statement.